Develop the gracious habit of being on time. OK--before you move on to another blog, let me ask you to think about this one. Are you a person who is regularly late? Do people joke about your lateness? As you may know, people sometimes joke about certain issues because it gives them permission to say what they are really thinking. You are late for the meeting. You are late for the lunch appointment. You are late for the birthday party. You are late for the family dinner. I am not talking about a person who is occasionally late because of unforeseen and uncontrollable situations. There are times when you are suddenly in a situation which must have priority over your next commitment. Two cars are involved in a wreck right in front of you. Someone is injured. You need to get involved. You are leaving the office and notice a co-worker is in tears. Your high school age child drops by your place of work (which is highly unusual for this child) just as you are about to meet someone. You sense something is wrong. All of these are a part of life. Perhaps you are late because you misjudged how long it takes to get to your destination. Again, at times, you are probably going to be late. But I am not really talking about this kind of lateness. I am talking chronic lateness that has become habitual. In fact, people are almost surprised if you are on time. This may or may not be you. However, I suspect you know someone like this. Before you dismiss this as something not even worth thinking about, let me suggest that developing the habit of being on time is a gracious practice. This habit communicates thoughtfulness. This habit communicates that you value another's time. This habit communicates that you do not take another person for granted. You choose instead to be considerate. Perhaps this is a habit a gracious person might want to develop. Think about time as a commitment you are making to another person. If you say, "Meet me at 3:00 PM", think of that as a commitment to a person. Thank God for another's time, recognizing it as a gift which needs to be appreciated and valued. Refuse rationalizations. Be careful about saying, "That's just the way I am." Pray that you might display graciousness in the way you use another person's time. As a steward or manager of what God has given me, I want to use my time well. But--I also want to respect and value another's time. Afterall, that person's time is a gift. 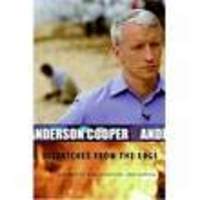 Anderson Cooper made his first appearance on Oprah shortly after his new book was released. On that day, this vetern newsman did not look comfortable. Yet, I could hardly take my eyes off the television screen. In May, I was in Austin at a seminar and managed to slip away to work out at Town Lake YMCA. In the cardio-room, I rode a stationary bike. On the wall, were three televisions, each one set to a different station. The sound had been turned off but the close captioning was on. I followed his words closely. For the first time, Cooper was talking publicly about the death of his father and the suicide of his brother. His mother, Gloria Vanderbilt, was in the studio audience. Oprah asked both Cooper and his mother questions. He relayed the details of the deaths of his dad and brother. For some reason, I was riveted to this exchange. During May and June, I purchased three books to read during July (when I would be away on vacation and study break). I did not realize until this afternoon that each one of those books had to do with fathers. The books I purchased? Dispatches From the Edge by Anderson Cooper. Wisdom of Our Fathers (Lessons and Letters from Daughters and Sons) by Tim Russert. To Own a Dragon by Donald Miller. I did not intentionally set out to purchase three books that would deal with fathers (Cooper's book deals with this far less than the other two). Earlier this month, I read the Miller and Russert books. Still, it was not until this afternoon that I realized the link between all three books. I am not sure why I purchased books with this theme. I do think it is interesting. Wow...How many people can identify with these feelings? I will say more later. For now, let me tell you that reading these three books has given me a renewed appreciation for what I am to be about as a dad. "She knew him and loved him anyway"
These words were written by legendary country singer June Carter Cash who died in heart surgery at the age of 73. 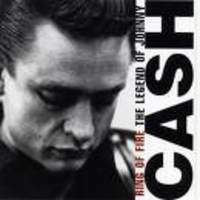 She and her husband Johnny Cash are country music legends. June Carter Cash wrote these words over 40 years ago. They were sung by her husband Johnny. "She knew him and loved him anyway." I like these words. And--I think they might be important for those of us who are Christians. I especially want to think about the place of these words in the life of any minister. A major task for any minister is to know the people in the church and love them anyway. To love the person who makes life difficult for you at times. To love the person who has a way of subtlety and regularly communicating that you just don't measure up. To love the person who is a know-it-all. To love the person who has behaved immorally. To love the person who has a way of just wearing you out. To love the person who has made some very foolish decisions. By the way, loving these people has nothing to do with being nice, soft, passive, and allowing people to run over you. THAT is not love. That is not the love Jesus modeled in the gospels. Rather, this a love that is fueled and empowered by God's Spirit. With that said, let's move on. These words are moving. Maybe I like these words because so often I feel quite differently. Far too often I get self-conscious and start thinking, "If people really knew me, they would be disappointed and not love me anymore." Can you relate to this? If so, you may feel you have to be very careful about what you reveal. So what do I communicate to the people in the church I serve? I really don't value you as much anymore because of what you said or did. Your relationship with me is dependent upon your performance. Could it be the Lord would like to use you in your church and community to communicate his love? How do people feel when you have been around them for a little while? Do they feel encouraged or de-valued? Could it be that some come away from a conversation with you feeling there is no way to ever measure up in your eyes? Do people see that you value their world? Or do they sense that you only value your world? Do people know and feel that even if you disapprove that you will love them anyway? Do you need to communicate to your husband/wife/children that you know them and that you love them anyway? Jesus' death and resurrection. This event, which took place some 2000 years ago, will forever remind us that God knew us and loved us anyway. 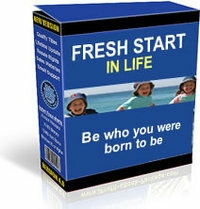 What If You Could Have a Fresh Start? In an earlier post this week, I mentioned that we were at the CrossPoint Church in Florence, Alabama on Sunday morning. We saw many people who were a part of the church we served. We left that church sixteen years ago. Now sixteen years later, we are older. It was amazing to look at some of these people and see middle aged men and women instead of the way I remember them. How can I have a new start? Why have I made so many mistakes in my life? Why must I seem to always learn the hard way? Why has my life not turned out the way I envisioned? Why have I experienced so much disappointment and pain? Why do I sometimes feel so different from everyone else? Why have I become so cynical regarding life? Why is life such a struggle for me? What has happened to the joy I once experienced as a Christian? Meanwhile, some of us believe we really don't matter to God very much. Oh we would say that he loves the world and that he is a loving God. However, we are convinced that we are somehow disqualified to fully receive his love. We don't seem to know his love on an experiential level. We say he loves the world but we are not so sure that he loves us personally. Sure God forgives, but I had an abortion and I know he will always hold that against me. Sure God forgives, but I had an affair a few years ago. I never dreamed I would do something like that. Sure God forgives, but my whole life is littered with a string of broken relationships. Sure God forgives, but I feel like such a failure as a parent. I can't believe the way my kids turned out. Sure God forgives, but I know I have always been one big disappointment to God. Do you know that God really will give you a fresh start? The Biblical writers remind us that many in the early church received fresh starts. Read again Eph. 2:1-9 and I Cor. 6:9-11. Do you know that his care for you is greater than your failure? Do you know that Jesus’ work on the cross and his resurrection have given us hope for a new start? Regularly schedule lunch or coffee with various people for the purpose of learning and gaining insight. For over 27 years (I've been a minister about that long), I've had a practice of asking different people to lunch who I found interesting. I do this for the purpose of asking questions and learning. I am not talking about eating with people from our church to get acquainted or to solve problems. I am not talking about lunches where we trade sport's scores. No, I am talking about a deliberate attempt to grow by listening to people from whom I can learn. I served a church in Florence, Alabama for almost eight years. At different times, I asked various people for an hour of their time. I recall conversations with the late Eddie Frost (mayor of Florence at that time) as well as Steve Pierce (president of the city council of Florence at that time). I asked them practical questions about leadership. On other occasions, seminars or workshops would bring guests to our city or to nearby cities. I recall a long breakfast with Gary Beauchamp (a long time Dallas minister) in Huntsville, Alabama. I asked many questions about ministry. I was a young minister and what he said was helpful. It was a good conversation. This is a practice, I continued in Kansas City, Mo. 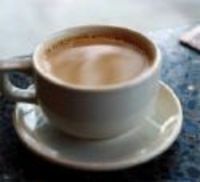 I recall lunches and coffee with two men who later became good friends. At the time, both were teaching at Midwestern Baptist Theological Seminary. Dr. Hulitt Gloer (now teaching at Truett Seminary at Baylor) and Dr. Bill Stancil (now teaching at Rockhurst College in Kansas City) offered stimulating conversation that helped me grow. I have continued this practice in Waco. I have met with various pastors in our city for lunches and coffee. Periodically, I have had lunch with a fine businessman (not in our church). I mentioned in a previous blog that I had lunch with three different people in the Dallas/Ft. Worth area during the month of July. (All three of these happened to be with older, experienced men in the faith). Those conversations were so helpful and caused me to think. I have also spent time with people younger than myself such as the late Kyle Lake (former pastor of University Baptist Church in Waco who died in a tragic baptistry accident). Learning from people is not limited to ministers like me. Perhaps you are a Christian business person and would like to learn from other Christians in the business world. Maybe you are a mom or dad and would like to learn from some moms or dads who have been down that road. Find some people who you would like to learn from and consider asking them to join you for lunch or coffee. 1. Come prepared with a few questions that could begin a discussion. 2. A person may have much or little time to give you. Either way, it is an act of grace. Be gracious regardless. 3. Consider that person's strengths and ask questions regarding those strengths. 4. After your lunch or coffee, make notes of what you remember. 5. See if you can locate something in the conversation which you might put into practice. July has been a very different month. I have just returned from two weeks of vacation. This week will be devoted to concentrated study before I return to work on August 1. So what's new? We had a great time! Charlotte and I enjoyed a week of being together with our daughters and son-in-law in the Smokie Mountains. My favorite part of that trip (besides just being together) was white water rafting on the lower Ocoee River with a wonderful guide. I am ready to go back. I am still working on a wonderful book by Tim Russert, Wisdom of Our Fathers: Lessons and Letters from Daughters and Sons. Russert's book is funny, sad, and on occasion leaves me with a lump in my throat. A good read! I have begun using Visual Mind. This is a piece of software that enables a person to "mind map" or visualize what you are thinking. This software originates from Norway. I have been using this tool quite often during the past two months. In August, I plan to preach through much of the Gospel of Mark. Yes, I have preached most of Mark before. However, I am reading it afresh and have really enjoyed thinking through Mark's message. In particular, I am thinking about his message regarding discipleship and its implications for today. Soon, I will also begin a new series on prayer in a class I teach on Wednesday evenings. Each morning during July, I have been reading from Phyllis Tickle's prayer book, The Divine Hours. I have found these daily readings to be such a helpful discipline. In particular, I like this line from "The Concluding Prayer of the Church." (Read each morning). "...Preserve me with your mighty power, that I may not fall into sin, nor be overcome by adversity..."
Last week, I enjoyed a tour through a furniture manufacturing plant in Mississippi. (Owned by a long time friend). I came away with a greater appreciation for factory workers who do their work with great skill and speed. A few weeks ago, I spent some time in a Greek Orthodox bookstore in Dallas. Very interesting. Had good conversations recently with three people who stretch my thinking. For many years, I have been blessed by conversations with ministers, business people, etc. who will allow me to ask questions regarding a variety of subjects. These lunches, coffees, etc. have been so helpful. Finally, it was so good to see long time friends this past week. Yesterday, our family went to the Cross Point Church of Christ in Florence, Alabama where we saw a number of people who were a part of the church I served years ago in that same city. It was so good to see these people. Do you ever think about what you are doing that will last? I think about that--a lot. What will I leave behind in my wife, children, and friends that are making a difference? What will I leave behind at work? What will be lasting in my ministry? What would I like for my children to pass on to my grandchildren? I can't really express how important this is to me. This business of leaving behind a wonderful legacy has really altered the way I view life. Think about your own life. Is there someone who has been a part of your life whose legacy has made all the difference? Maybe it was your dad or mom. Maybe it was another relative. Perhaps you had a good friend whose investment in your life made a wonderful difference. The other day I was talking with a friend who is also a grandfather. This man has been spending one day per week with his grandchildren for a number of years. He said, "I am tired of the contemporary view of grand-parenting which amounts to little more than play with the grandchildren, spoil them, and then give them back to their parents. I am about ministry. I spend this time every week with these young grandchildren because there is a legacy that I want to leave with them. I want to help shape their lives and pass on some values that have been very important in my life. That is my ministry." I want to pass on Jesus. Not just Jesus preached (I obviously believe that is pretty important). I want to pass on Jesus demonstrated. I want to pass on to my wife the legacy of a man who took his commitments seriously. I want Charlotte to remember that she could trust me. I want my girls to remember that their dad was faithful to their family. I want to pass on to my children the importance of treating people right--no matter who they are. No matter how wealthy or how poor. I want them to remember the importance of paying debts, keeping promises, and being genuinely interested in people. I want to pass on to my children the special place of the Word of God in their lives. I want them to know that they can have confidence in Scripture as it points them to God, revealing his will and desires for their lives. I want to pass on to the churches that I served the importance of personal integrity and having a passion for God. What about you? What do you wish to pass on? Maybe your week has been tough! Hey--it's Wednesday and you are already exhausted. Many people (maybe you?) are under regular verbal, emotional, and psychological assault. Many are under spiritual attack as well. Over and over, in a thousand different ways, men, women, and children are told they are not valuable as persons. In so many ways, the glory and dignity of these persons has been taken away. Yet, we can trust God’s ultimate deliverance. We can trust him to be at work and be involved in our situations. Sometimes, we get discouraged. We pray. We believe we know what God’s answer ought to be. The answer must come now in the way we have planned. Ok--we can receive a successful surgery as an answered prayer. However, there are others who prayed and their parent/spouse/child died. Leaving it in God’s hands is not a guarantee that what we think ought to happen will actually happen. God will, however, never abandon us as he responds to these prayers. Bring your helplessness before God. I like these lines from Ole Hallsby’s Prayer (p. 26), I never grow weary of emphasizing our helplessness, for it is the decisive factor not only in our prayer life, but in our whole relationship to God. As long as we are conscious of our helplessness, we will not be overtaken by any difficulty, disturbed by any distress or frightened by any hindrance. We will expect nothing of ourselves and therefore bring all our difficulties and hindrances to God in prayer. And this means to open the door unto Him and to give God the opportunity to help us in our helplessness by means of the miraculous powers which are at His disposal. Jesus once said, “Without me you can do nothing” (Jn. 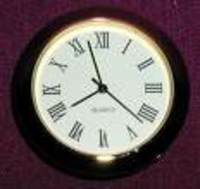 15:5). What is that but a simple recognition of our helplessness? Acknowledge to God over and over your helplessness. Whatever happens, bring your helplessness before God and know that in some way, he will deliver and be faithful to his promises. What Do My Decisions Say About Me? Today, I have been thinking about my own pattern of decision making. That pattern has changed somewhat through the years. I'll talk more about that later. Right now I want to mention a game I've been thinking about today. Conquest is a game developed by the Waco Housing Authority and is now being used all over the country. A few years ago, I was given one of these games. Conquest is a board game where players roll dice to move from square to square. The objective is to ultimately get into the winner's box. Sometimes players land on the green squares which means they have reached a "feat" (choices made that overcome obstacles). They draw a card that might read, "You planned for a backup babysitter just in case your kids got sick." They are then told to advance some extra spaces. A "feat" emphasizes a choice made where one overcomes some obstacle. One might land on the yellow squares, which are "snags" (situations that slow progress). Land on a yellow square and you too draw a card. It might read something like, "Your kids cause a scene in the store over the purchase of some candy, and you buy it to quiet them down." These are choices that only impede progress. You then might have to go back several extra spaces. The idea of the game is to get people to think about one's decision making. As a Christian, I am on a journey to mature in Christ. I have been given the opportunity to experience all that Christ is and to partake of his perfection (his perfect love, his perfect grace, his perfect mercy to people). Then comes Monday morning. Do I make choices ("feats") that move me toward Christ-likeness? Do I speak of desiring Christ-likeness and yet continue to make choices that are "snags"? Do I make choices that really only serve to slow my progress toward becoming like him? Sometimes we make foolish decisions. Decisions made because the flesh and its desires seem so strong. Decisions made because we have rationalized our behavior. These decisions or "snags" can get in the way of any serious pursuit toward maturity in Christ. Maybe it would be helpful to examine my pattern of decision making. Are my decisions typically consistent with my commitment to mature in Christ? Am I making daily decisions which reflect that I am serious about becoming like Jesus?